The statement comes on the heels of agent Drew Rosenhaus' officially terminating his representation of Manziel,a league source told ESPN NFL Insider Adam Schefter. Rosenhaus announced Wednesday that he had informed Manziel of his decision to terminate their relationship, but he would reverse the decision if the formerCleveland Brownsquarterback entered a treatment facility within five days. 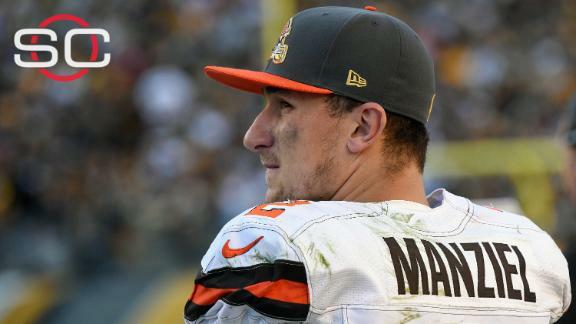 Adam Schefter weighs in on agent Drew Rosenhaus officially terminating his representation of Johnny Manziel and the issues Manziel is facing off the football field.